A U.S. House committee that oversees federal funding for Metro has just released a plan to cut in half the amount of money previously allocated for the transit system. The new spending plan would slash the $150 million amount Metro had expected to receive from the federal government next year for maintenance and safety upgrades. The House would also require Metro to demonstrate "significant progress" in fixing current "weaknesses and deficiencies" before getting the $75 million. "The funding level is intended to prompt the stakeholders to demonstrate a commitment/act to improve the system's service, financial health, infrastructure and safety," said a House committee official. It's not a final step, but there's a new, real possibility that the federal government could soon be stepping back from what they currently spend on Metro. WMATA officials released a statement saying, "We are working to restore the full $150 million. Every dollar of this funding is crucial for the safety and reliability improvements of Metro." A spokesman for D.C. Del. Eleanor Holmes Norton said the congresswoman is "appalled" by the proposed cut. "[Holmes Norton] is the ranking member of the House Highways and Transit Subcommittee, which has jurisdiction over WMATA, and will do everything in her power to defeat this effort," the spokesman said. "These funds, which are part of a 10-year, $1.5 billion authorization, are for WMATA to make capital and safety improvements. 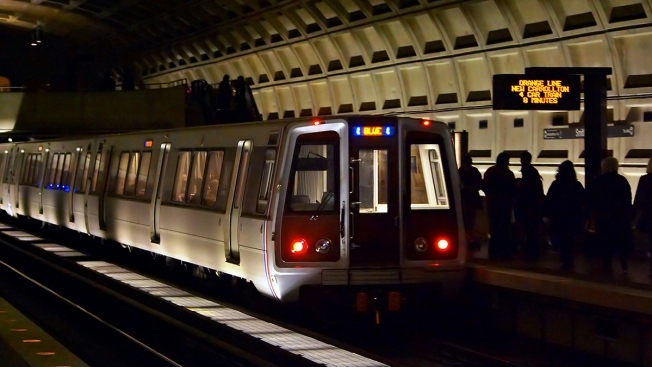 Although the appropriators emphasize safety in the bill's language, this cut will be a massive blow to WMATA's safety initiatives, including implementing their next generation of rail cars." U.S. Rep. Don Beyer of Virginia also sharply criticized the plan. "This shortsighted plan will jeopardize rider safety, derail improvements to the system, and undermine WMATA's ability to implement National Transportation Safety Board recommendations," Beyer said in a release. "Metro... shuttles thousands of federal employees to and from work every day and helps relieve congestion on our already overburdened roads." U.S. Rep. John Delaney said he was "shocked" by the proposal. "At a time when we need major upgrades to improve passenger safety, these proposed cuts are irresponsible," he said. "This is an insult to my constituents, many of whom depend upon Metro to get to work and spend time with their families."